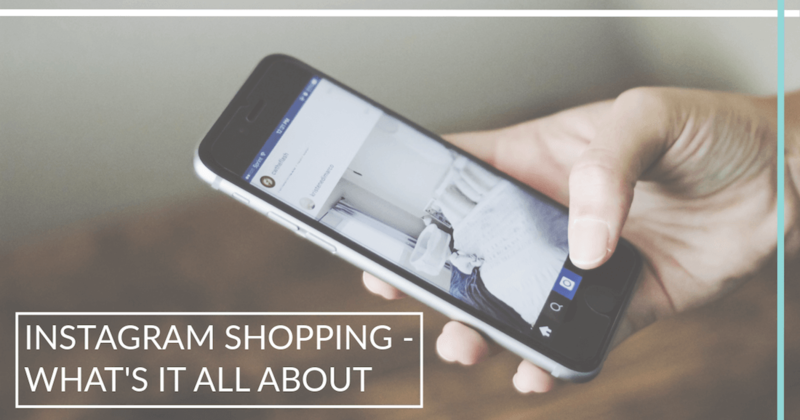 Instagram shopping – what’s it about? With 800 million monthly active users, Instagram should definitely not be ignored. A platform that takes image very seriously, Instagram has become synonymous with beautiful lifestyle shots and storytelling – it’s more than just social media. If Facebook is real life, Instagram is the dream – full of influencers and brands sharing images and videos of the lifestyle their audiences want. With the introduction of shoppable posts, Instagram has now made it easier than ever for brands to sell via the platform, while still conforming to the style we’ve all come to know and love. 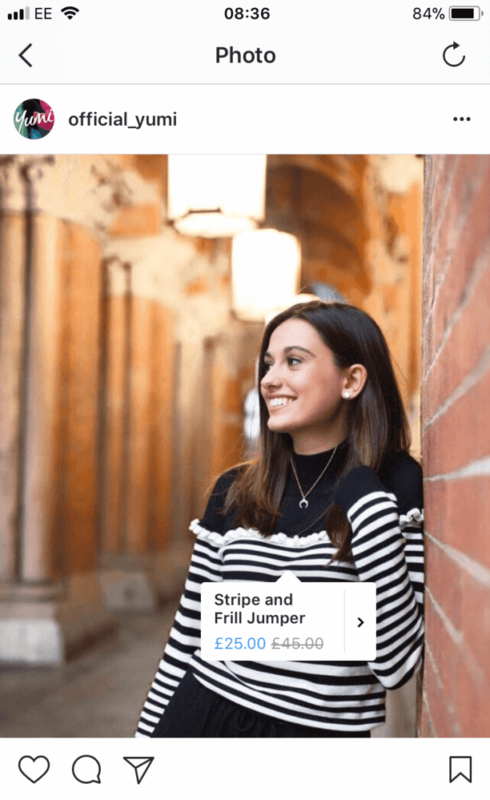 In March of this year, eCommerce businesses on BigCommerce were among the first to be introduced to Instagram’s latest feature – shoppable posts. An immersive storefront means that users now have the ability to shop products featured in Instagram posts via product tags. 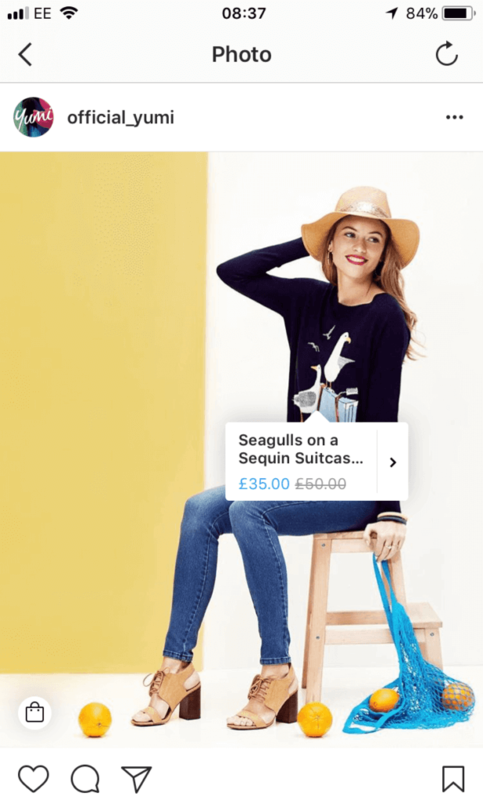 A tap on your post can reveal what products are available to buy, how much they cost and the relevant link to that product so the user can make the purchase. This new feature allows users to discover products in an entirely new way, giving brands the opportunity for more conversions through organic content. In order to tag products in your posts, you need to push your inventory to Facebook, which you can do using the BigCommerce Channel Manager. Once this is done, the Shopping for Instagram toggle should appear within a few weeks and then you can start tagging products using your Instagram business account and selecting the product catalog you want to sync. The products will then link to the relevant product pages on your site so that users can quickly make a purchase. You can tag up to 5 products per photo and up to 20 products in a carousel. This gives users a much smoother shopping experience and the ability to see products in a new light. We encourage you to think more about the types of photos you post to your Instagram account. Users on the platform don’t want to be bombarded with advertisements and typical product images – they can get that elsewhere – Instagram has a much more personal feel to it, which is why lifestyle shots work so well. Show your product in use or repost your customer’s images as a way of increasing engagement. Host competitions and be sure to tag in the relevant items. This will encourage users to interact more with your brand and they are more likely to make a purchase based on a genuine photo over a staged one. If you need support with social media and digital marketing, or are looking to replatform to BigCommerce, give us a call on 0121 369 5874 or email success@5874.co.uk.